It is our wish and intent to work collaboratively with designers, builders, vendors, and individuals who are socially and environmentally conscious, which we feel exponentially enriches the ecology and economy of Northern New Mexico. EcoScapes is dedicated to the promotion of ecological sustainability, and offers competitive wages, employee health insurance, literacy classes and outreach to organizations in our community. Before pursuing a major in English Literature and numerous educational courses, Michael spent long days with his grandfather digging and repairing water wells in rural Nebraska. Those early years with his wise progenitor instilled an appreciation of the precious value of our water resources and the need to conserve and protect them. He also gained hands-on experience growing and preserving food, composting the leftovers and a general respect for the earth. In the spring of 1975 Michael and his wife, Susan, with two young children in tow, chose Santa Fe to raise their family. Soon after arriving, the Nelsens opened the Haven Restaurant on Canyon Road. The Haven gained both local and national acclaim, becoming one of Santa Fe’s favorites. Michael also managed other establishments that included the San Francisco St. Bar & Grill, the Zia Diner, the Steaksmith and Harry’s Roadhouse. After 25 plus years in the restaurant business, Michael decided to pursue another of his life’s love of gardening into a business venture. The transition included five years of the study toward the practice of landscape design and construction and a license as a Landscape Contractor. EcoScapes was opened in 2002 with a clear mission of utilizing rainwater through water catchment systems to reduce the need for increasingly scarce potable water supplies. Michael remains enthused with reading and home gardening, plus other active pursuits of practicing yoga, skiing, hiking, mushroom gathering and mountain biking in the hills around Santa Fe. After being raised on the Central Coast of California, John moved to Arizona to go to art school; preferring the wild canyons and big skies. 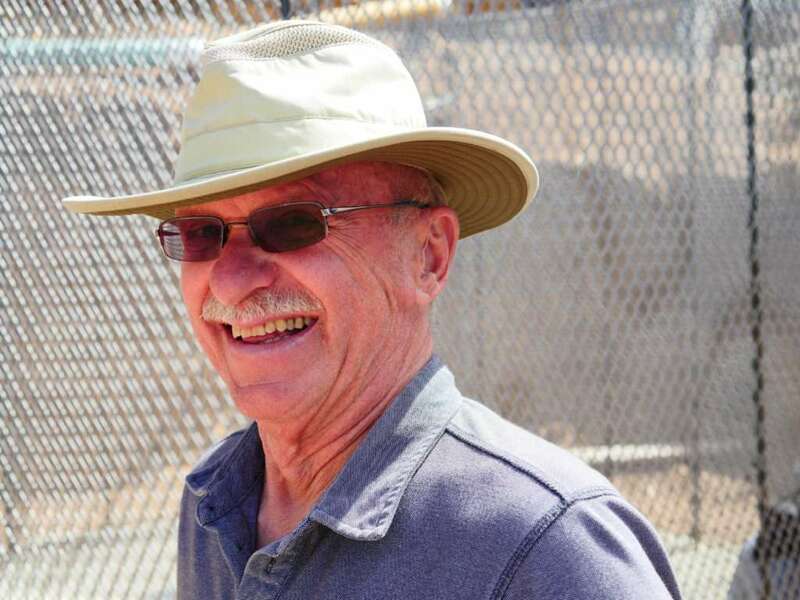 For over a decade he has gardened, farmed and landscaped in the Southwest – first landscaping for the installation of the Mary Colter Gardens at La Posada in Winslow, Ariz. 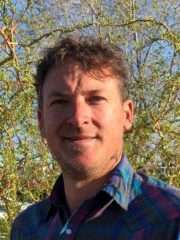 While in college at Northern Arizona University in Flagstaff, Ariz., John studied ecology, indigenous studies and forestry before completing with a degree in journalism. After a few years in the newspaper business, he went to work for Crooked Sky Farms, a 50-acre organic farm in Phoenix, Ariz. that uses flood irrigation to produce over 50 different crops for thousands of people every week. John later moved to the Verde Valley near Sedona and spent six years working in the burgeoning Arizona wine industry, tending to vines, gardens and making wine. During these years, much was learned about irrigation and plants through experience and observation. 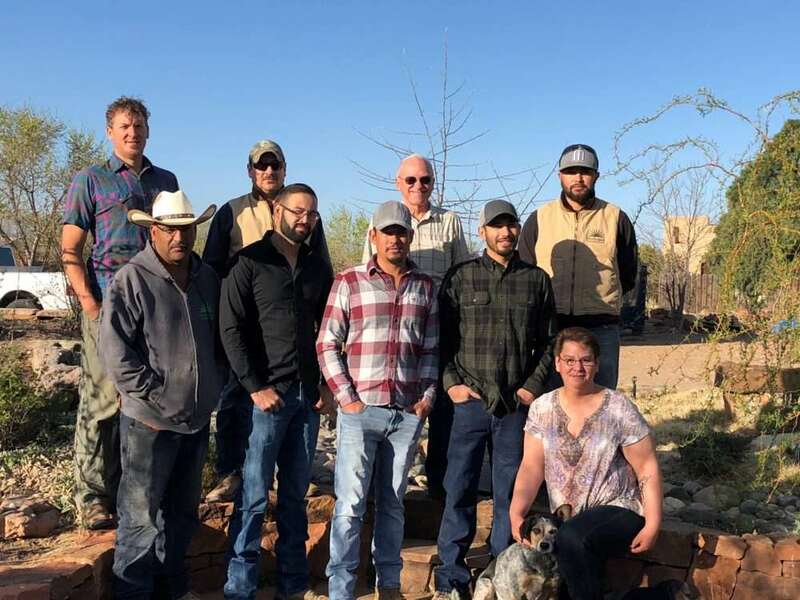 John recently moved his family to the Santa Fe area to have more cultural and learning opportunities for his children, and to work on land with plants in a region that has an aesthetic appreciation for art, beauty and the natural environment. Outside of work, he may be found exploring with his family along the Rio Grande, on the Sangre de Christos or tending to his large plot of native and heirloom vegetable crops in Pojoaque. 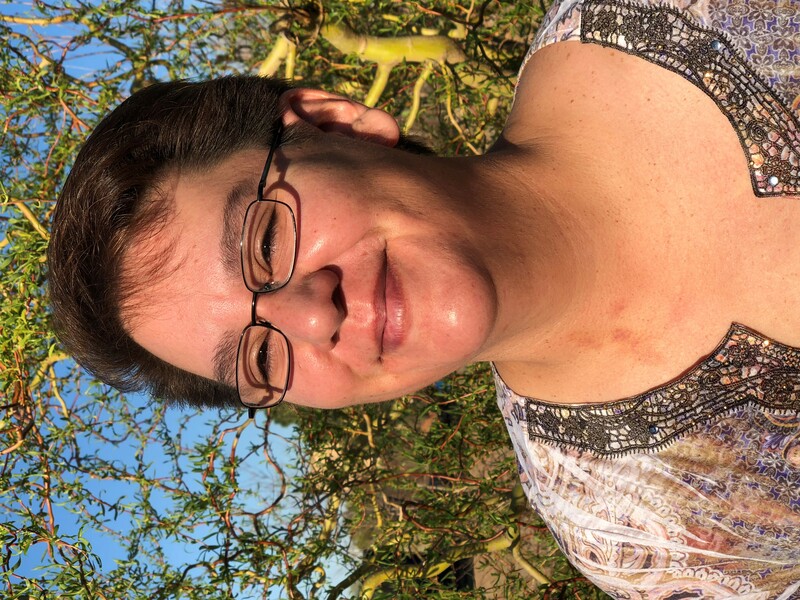 Milinda Tarazon has 20+ years of Accounting knowledge and Customer Service. 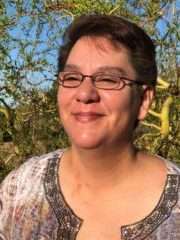 She gained a lot of her experience servicing Santa Fe and Northern NM. She is committed to helping EcoScapes employees and clients with any needs and concerns that arise. Her attention to detail and ability to listen helps her forward concerns and questions from clients to the appropriate staff. She is always there to answer calls or emails and strives to help each client with their landscaping needs. When she is not at work, Milinda spends her time with her boyfriend and Bella (her mini Australian Shepard). They enjoy being in the mountains taking in NM’s natural beauty. You can also find her in the kitchen cooking up Native New Mexican foods.